Straight from the heart of what is known as 'Chocolate Island', this delicious and luxurious instant hot chocolate drink has been made with premium fine grade cocoa and milk powder. São Tomé is Africa's second smallest country and is renowned for it's high quality cocoa; undeniably intense and wonderfully aromatic. 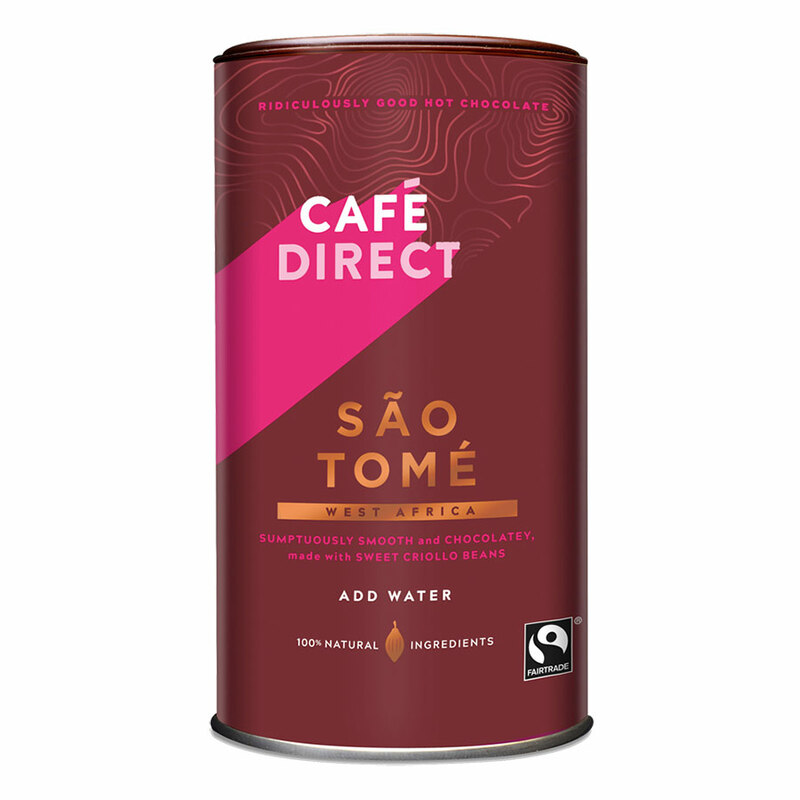 Cafédirect have worked with various producers in São Tomé and together have produced this delicious hot chocolate drink, high in cocoa content and 100% Fairtrade. To enjoy, just add water to 3-4 heaped teaspons and stir. It's only 75 calories per cup. 300g. Please note this product is suitable for vegetarians, but not vegans. The São Tomé Luxury Instant Hot Chocolate - 300g product ethics are indicated below. To learn more about these product ethics and to see related products, follow the links below. Good for a treat. Easy and quick to prepare. tasty. The best instant hot chocolate I've found and fairtrade as a bonus. Rich, smooth, chocolatey and not too sweet. Just writing this has made me want to go and make a cup. This is the best instant hot chocolate I have found. There are currently no questions to display about São Tomé Luxury Instant Hot Chocolate - 300g.